This weekend our family attended an annual event with friends that we look forward to all year. We do fun things including dress up in costumes. Of course we usually wait until the last week or so to throw together our costumes and this year was no exception. But our family showed up with no costumes, and some self-inflicted mom-guilt. “You’re so unorganized.” “You never think ahead.” Voices that play often in my head. And I dreaded facing my friends who I knew would be good moms and have their kids in costumes. But then I remembered my week. Monday morning my Dad was unexpectedly admitted to the hospital during a check up. I had to drop what I was doing and drive my Mom an hour there, see to him, and an hour back home. Two other days I kept a friend’s children (in addition to my 9)–while she took care of some really hard things as a result of being separated from her husband and in a very hard place. Another day I kept my grandson. Another day I counseled a friend on the phone who really needed some encouragement. Another day I spent all day cheering my 3 girls on at their gymnastic meet. And I managed to keep my family fed and cared for through it (among countless daily tasks that you all know about). Please know–I’m not trying to brag about a few things I did. I’m trying to use a lesson I learned to teach you something too. We can’t do everything and we have to stop trying. And I gave myself permission to let go of silly expectations, of adding one more thing on top of a super busy week. And I want you to do that too. So when life throws eternal opportunities your way, let go of the frills and extras. No one will say at your funeral, what a very nice costume you made that year. They will, however, remember if you were available when they needed you. We haven’t been called to keep up with other people; we are called to keep up with our people. 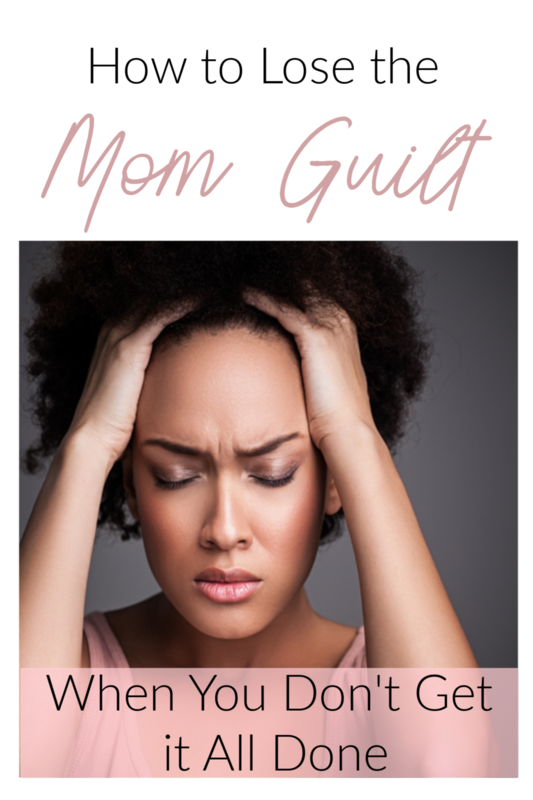 Learning to give ourselves grace is one of the most important lessons in motherhood. I totally agree with counting up what DOES get accomplished in a day rather than what doesn’t get done. Life is way too short to feel guilty about things that don’t matter in the long run. 6 Arrows, I agree. But it’s funny what a hard lessons that is, huh?